Dr. Kerzner has been practicing in the Berkshires since 1997. Before Chiropractic, he earned his bachelors degree in psychology and was a special needs teacher for 5 years at the New England Center for Autism. 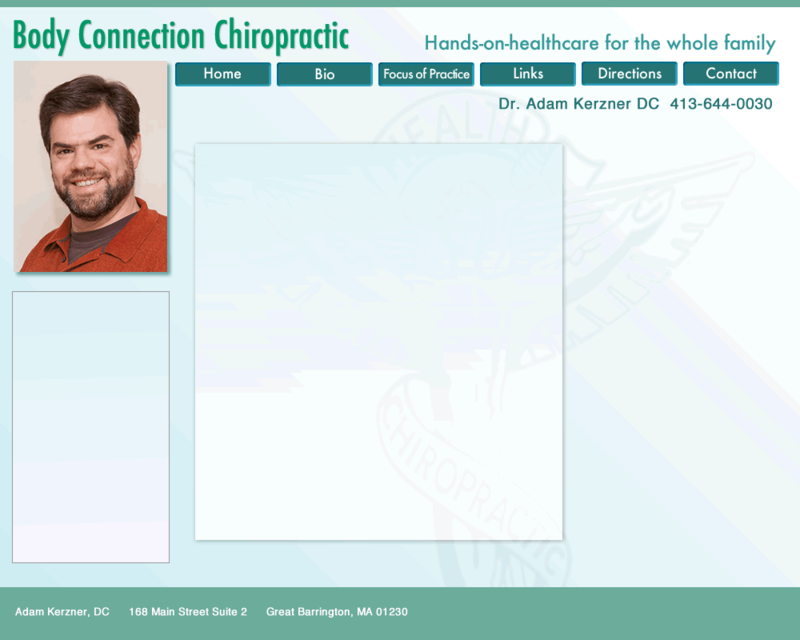 Dr. Kerzner spent time during and after getting his chiropractic degree working for the International Chiropractic Pediatric Association. He worked for Dr. Larry Webster, developer of the Webster breech turning technique, for 2 years as a research assistant and newsletter editor. He currently works in private practice in Great Barrington.